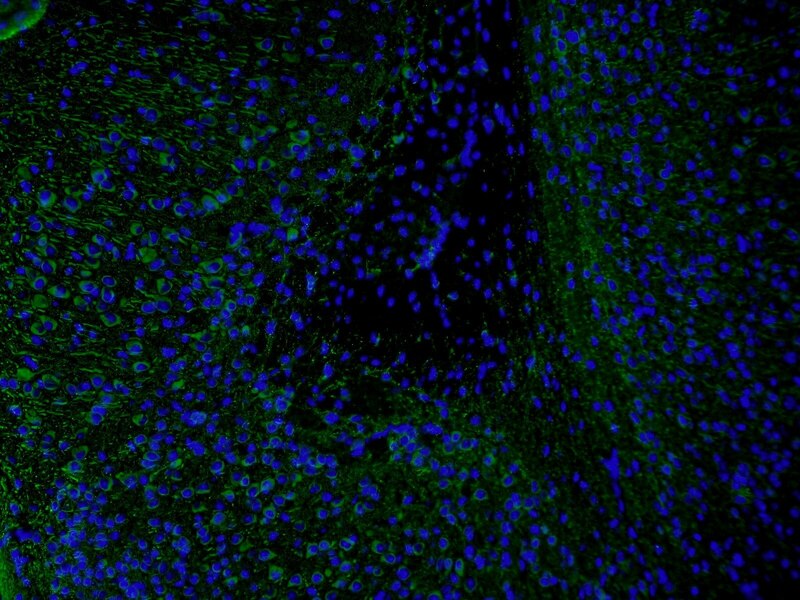 Immunofluorescent staining of MAP2 (17490-1-AP, 1:250 dilution) with 4% PFA fixed control hiPSC derived neuronal cultures (35 days old). 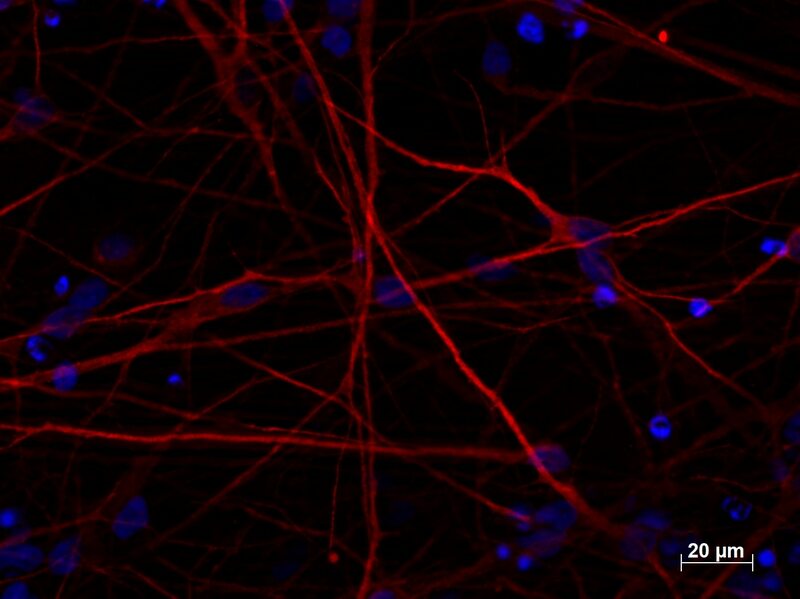 (RED MAP2; Blue: DAPI). Provided by BioTalentum Ltd., Hungary. 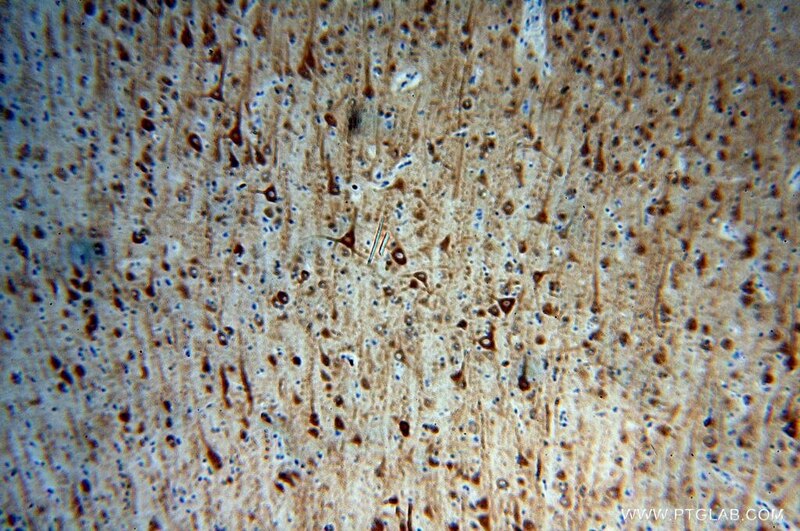 Immunohistochemical of paraffin-embedded human brain using 17490-1-AP(MAP2 antibody) at dilution of 1:100 (under 10x lens). Heat mediated antigen retrieved with Citric acid buffer, pH6.0. 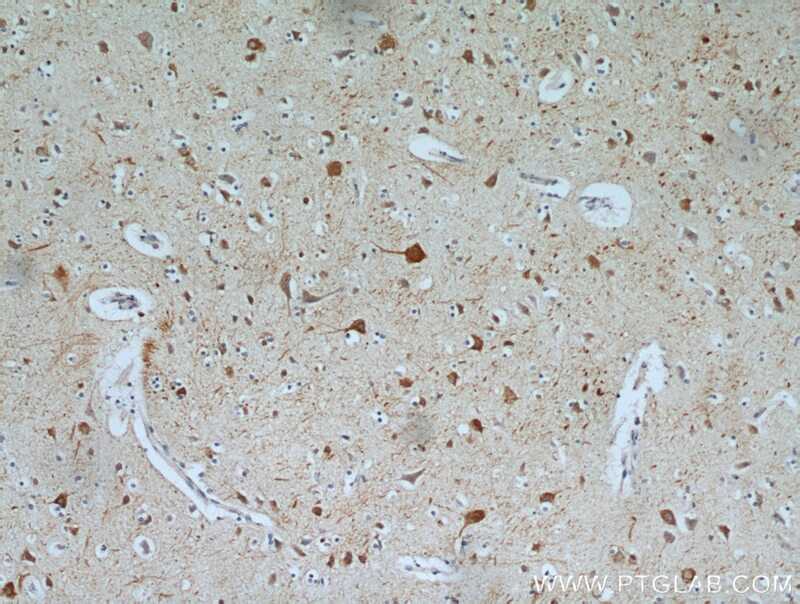 Immunohistochemical of paraffin-embedded human brain using 17490-1-AP(MAP2 antibody) at dilution of 1:100 (under 40x lens). Heat mediated antigen retrieved with Citric acid buffer, pH6.0. 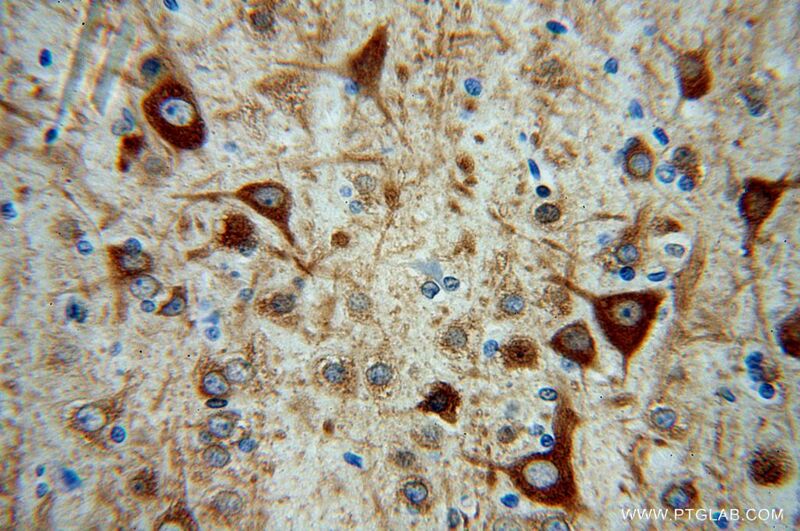 IP Result of anti-MAP2 (IP:17490-1-AP, 3ug; Detection:17490-1-AP 1:1000) with mouse brain tissue lysate 5000ug. Microtubule-associated protein 2 (MAP2) is a tubulin binding protein regulating the spacing and stability of microtubules and contributing to elongation of dendrites. What is the molecular weight of MAP2? Is MAP2 post-translationally modified? MAP2 has multiple isoforms that arise from alternative splicing (PMID: 3121794, 7854050, and 10383434). They are classified into two groups – MAP2A and MAP2B, which are known as high molecular weight (HMW) isoforms, run as ~280 kDa species, while low molecular weight (LMW) isoforms MAP2C and MAP2D are around ~70 kDa. MAP2 proteins are heavily phosphorylated, which contributes to a large discrepancy between their predicted and observed molecular weight in SDS-PAGE (220 vs 280 kDa for HMW forms). 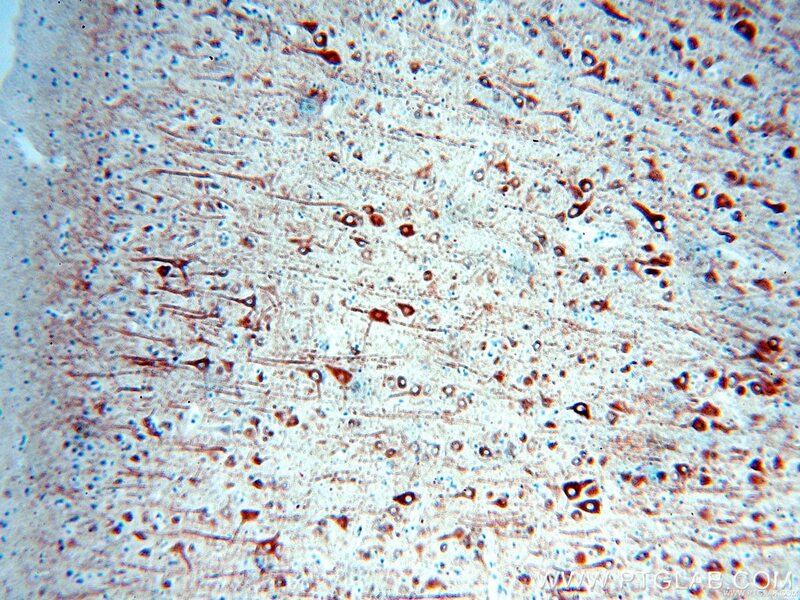 What is the tissue expression pattern of MAP2? 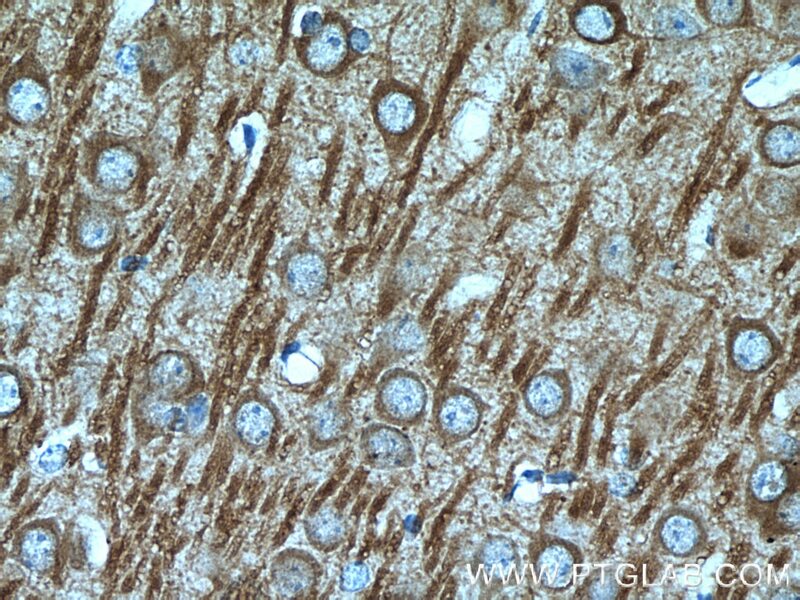 What is the subcellular localization of MAP2? MAP2 isoforms differ in their tissue and developmental expression pattern (PMID: 2469170 and 3898077). 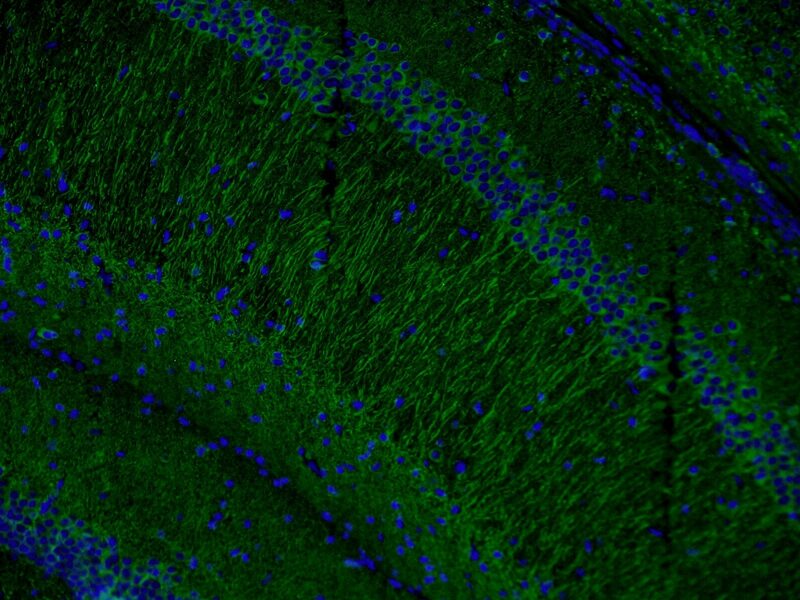 In the brain, MAP2B is widely expressed during and post development, MAP2A is expressed postnatally, while MAP2C is present only in the early development except of present in photosensitive cells of the adult retina and in the olfactory system. 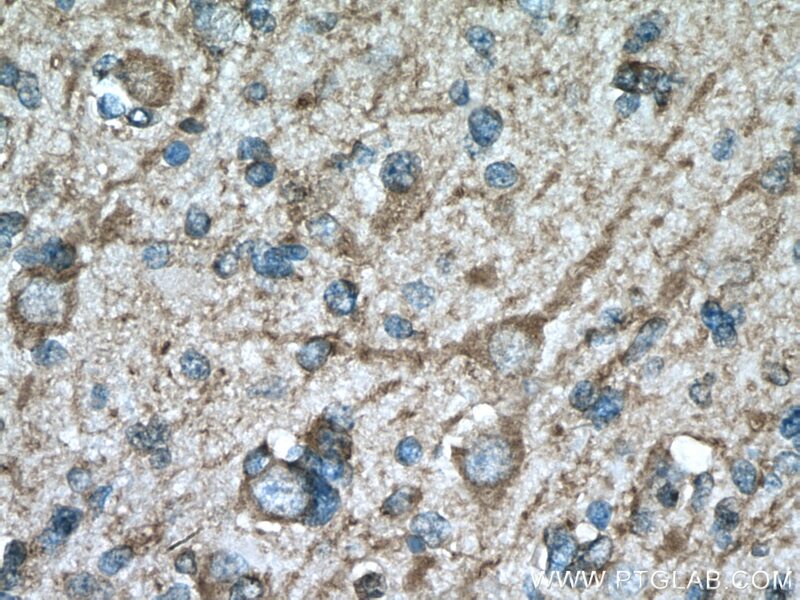 MAP proteins are highly expressed in the CNS found in cell bodies and dendrites of neurons, in dorsal root ganglion, reactive glia, and in the testis (PMID: 9588626). 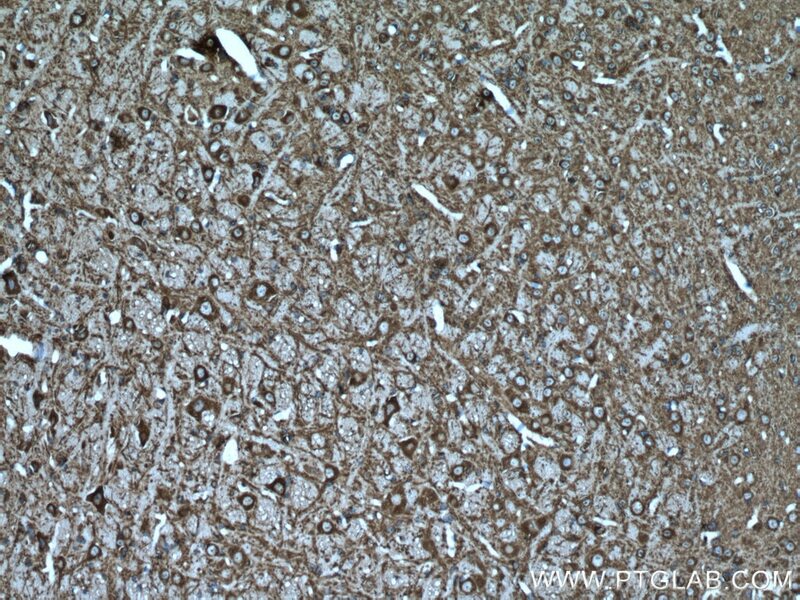 In neurons, MAP2 proteins are found in the cell body and dendrites, where they associate with microtubules, while they can also be present in the nuclei of testicular cells. 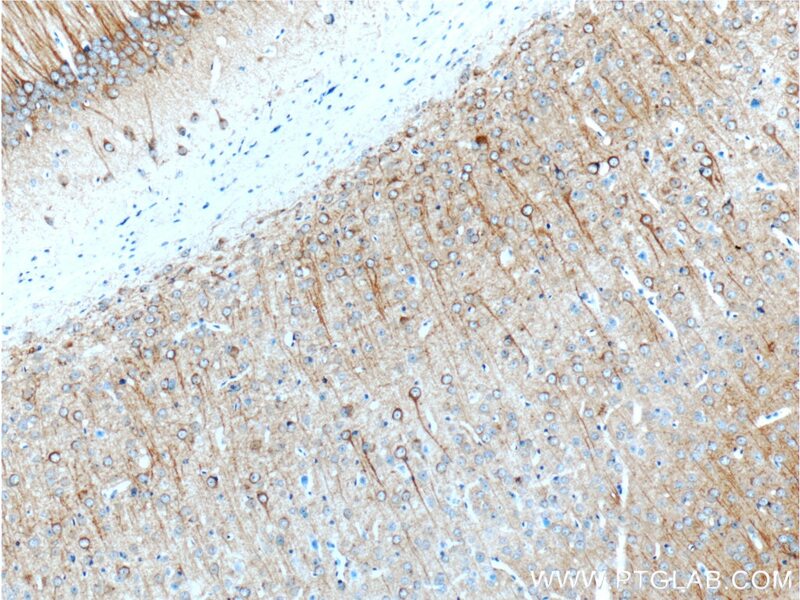 Can MAP2 be used as a neuronal marker? 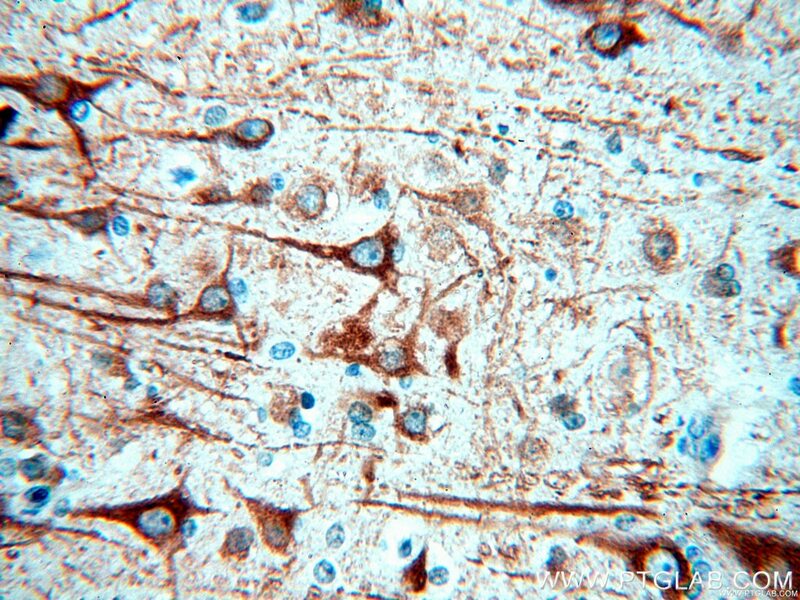 MAP2 proteins are abundantly expressed in neurons. 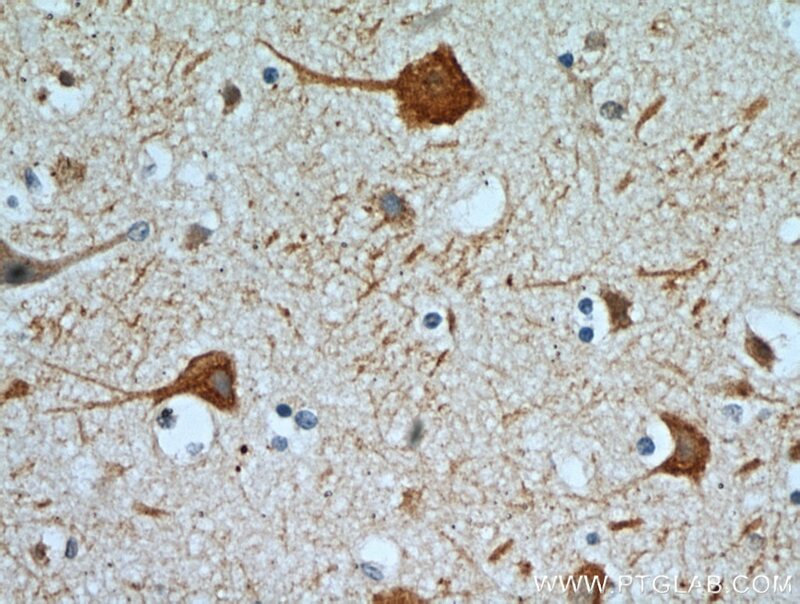 MAP2 is frequently used as a dendritic marker because it is present in the cell body and dendrites of neurons but absent in axons (PMID: 28413822). 1:5000 dilution is good enough for a clear and sharp image of western blot. I am now using Li-Cor's Odyssey CLX imaging systems . 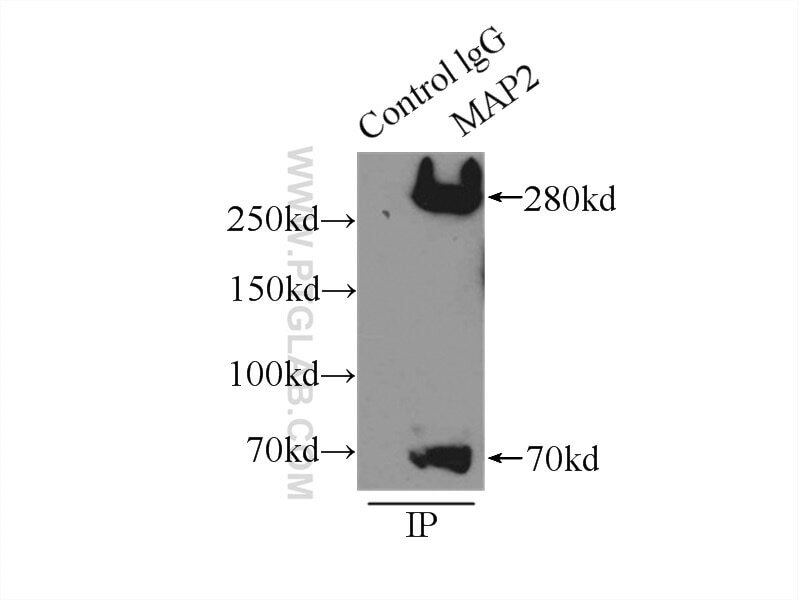 The second antibody is from Li-Cor with 1:5000 dilution. By the way, I also tried to use 1:1000 dilution for my low expression samples, and there was no bad noise backgrounds. Effects of targeted suppression of glutaryl-CoA dehydrogenase by lentivirus-mediated shRNA and excessive intake of lysine on apoptosis in rat striatal neurons. 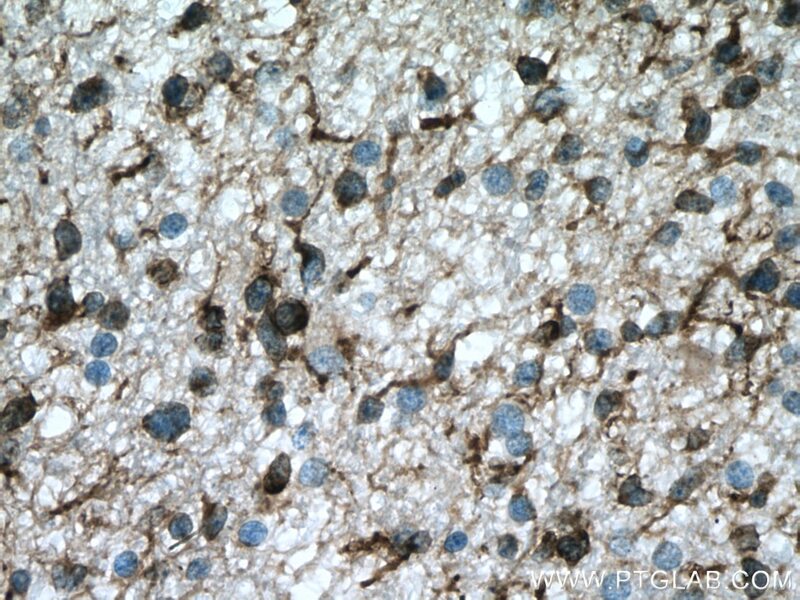 Mutant huntingtin is present in neuronal grafts in Huntington's disease patients. 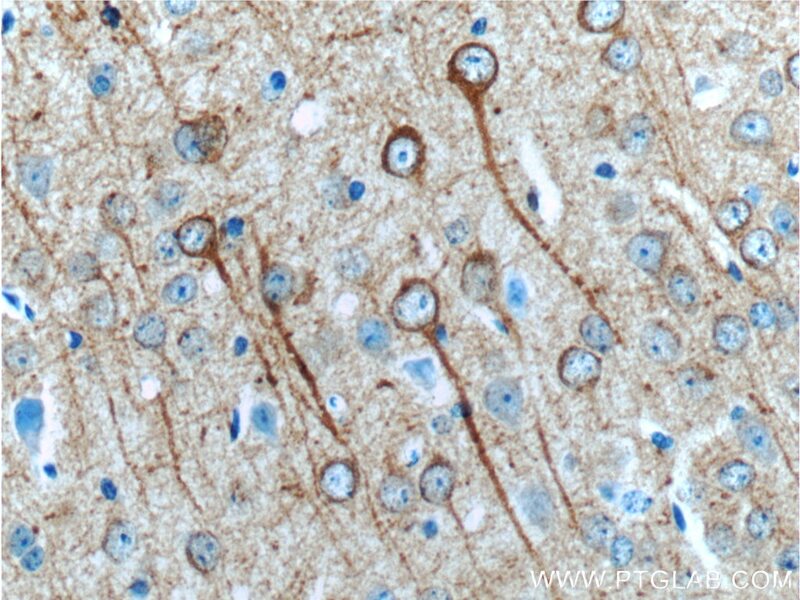 Neuropeptide Y protects cerebral cortical neurons by regulating microglial immune function. The effects of harvesting media on biological characteristics and repair potential of neural stem cells after traumatic brain injury. 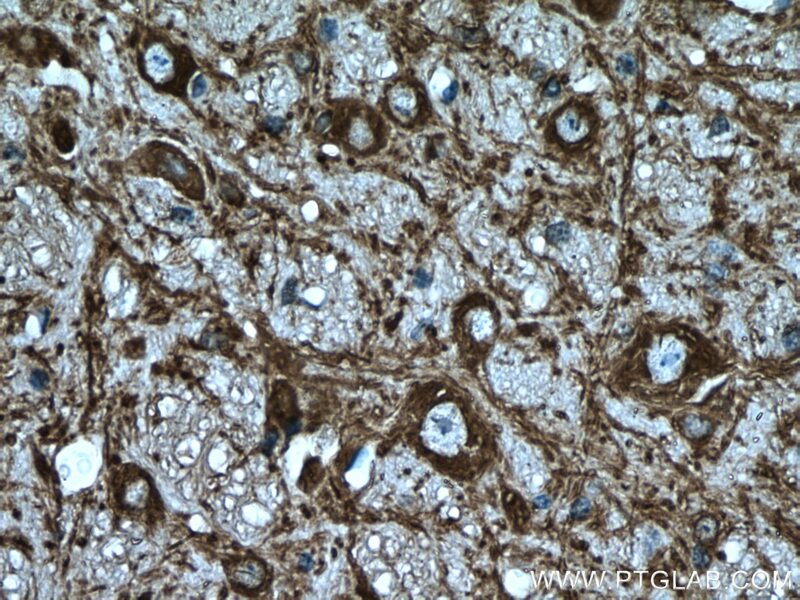 Immunohistochemical analysis of paraffin-embedded human gliomas tissue slide using 17490-1-AP (MAP2 antibody) at dilution of 1:200 (under 10x lens) heat mediated antigen retrieved with Tris-EDTA buffer(pH9). 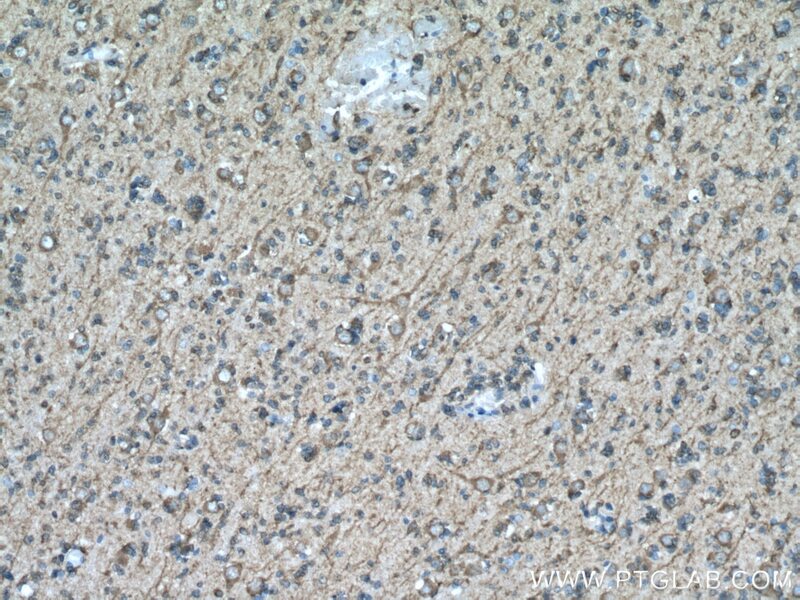 Immunohistochemical analysis of paraffin-embedded human gliomas tissue slide using 17490-1-AP (MAP2 antibody) at dilution of 1:200 (under 40x lens) heat mediated antigen retrieved with Tris-EDTA buffer(pH9). 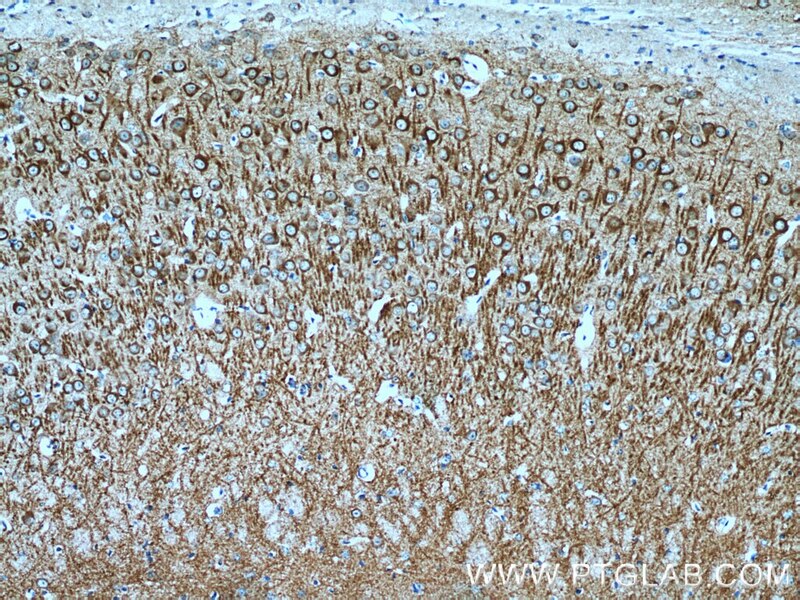 Immunohistochemical analysis of paraffin-embedded mouse cerebellum tissue slide using 17490-1-AP (MAP2 antibody) at dilution of 1:200 (under 10x lens) heat mediated antigen retrieved with Tris-EDTA buffer(pH9). 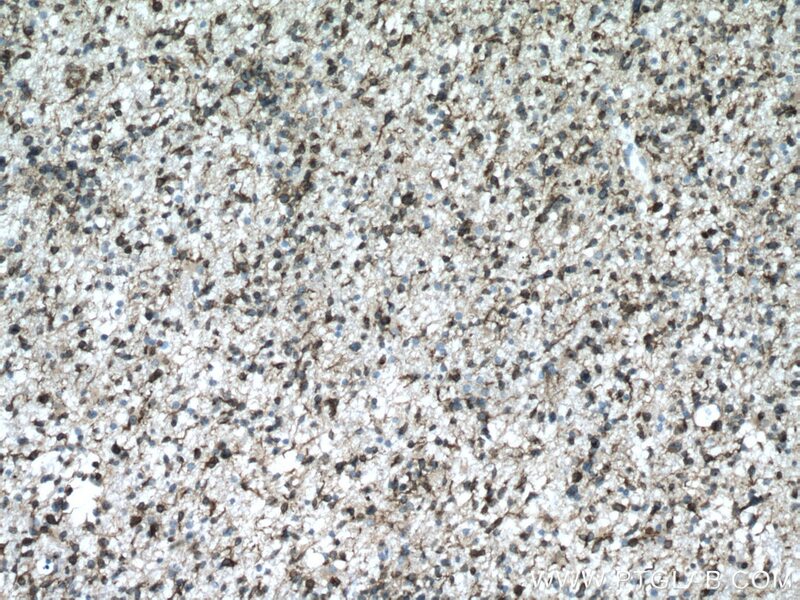 Immunohistochemical analysis of paraffin-embedded mouse cerebellum tissue slide using 17490-1-AP (MAP2 antibody) at dilution of 1:200 (under 40x lens) heat mediated antigen retrieved with Tris-EDTA buffer(pH9).